Just returned from the Rose Parade. I had a first row seat along the route and was able to see our Vinny from a few feet away as he passed by. The Dustettes and I were of course wearing all Dodger gear, and as Viny passed the crowd yelled their love for him. I doffed my cap, and it seemed as though he looked right at me and acknowledged me. I couldn't help but get a bit weepy. Here are a couple pics I was able to snap. And the one thing I tried to do, and I did it until, really, my shoulders were sore, I wasn't just waving — I was applauding a lot. I kept applauding and gesturing to the people, 'I'm applauding you. I'm thanking you for all the years,' and they've been so good and kind and generous to me. BTW saw a float with Daryl Hall from Hall & Oates playing. He hasn't missed a beat - sounded great. I saw H & O when I was like 14; made me feel old, so god knows how old he feels. Anyway, cheers to him. Also saw KC and the Sunshine Band - meh. I'm glad I wasn't the only one to get weepy seeing Our Guy. 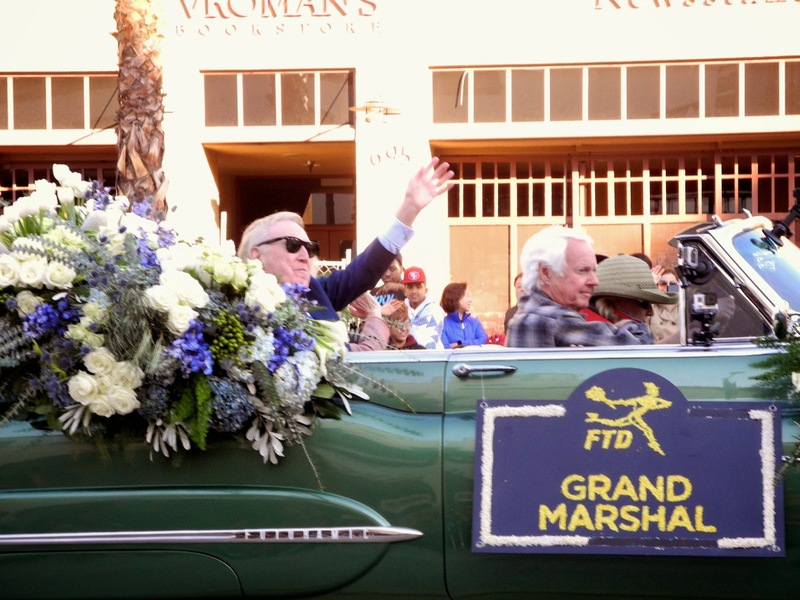 Having Vin as Grand Marshall was a perfect way to start the new year. 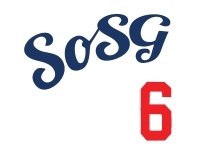 And Happy New Year, SOSGers! Happy New Year, FB! Hope you're having nice travels. Here's to Vin being Grand Marshall for the 200th Rose Bowl!